Home Magazine Expert Advice The Other Side: Do Your PMs Positively Impact Patient Safety and Improve Uptime? The Other Side: Do Your PMs Positively Impact Patient Safety and Improve Uptime? I enjoy analyzing data. Lately, I have been analyzing work requests to explore if the preventative maintenance (PM) actions we perform everyday actually improve patient safety and outcomes. My preliminary findings have been very interesting and support some of my intuitions about PMs. There is no doubt in my mind that electronic equipment has become very reliable. All the advances in computer technology and semiconductors have equated to smaller, less expensive and more reliable devices. Televisions are a good example of this. When I repaired them, at my first job out of college, we had to clean tuners, adjust the oscillators and sometimes replace tubes (I know this dates me). Today’s TVs do not have any of those components and seldom need to be repaired. Actually, my solid state TV with the electronic tuner has been working flawlessly for 16 years. The best part is I never performed a PM on it! Medical equipment has not been exempt from these advances. Recalling my first years repairing medical equipment the “span” and “cal” potentiometers always required attention. Getting the adjustment just right often took a large amount of time and was incredibly frustrating. The old IVAC 200 series even prompted one of our student interns to take an un-repairable unit out to the shooting range for a fun filled afternoon of revenge. We kept that holey unit around for peace of mind for a long time. Now, however, the plastic screwdrivers or “diddlers” as we called them, lay in the tool box collecting dust. Internal adjustments are almost completely gone, and seldom are outputs out of calibration. With all these improvements and changes in electronic circuitry, why is the preventative maintenance methodology still the same? Many devices have built-in diagnostics that tell the user if the unit is operating correctly. However, like drones or zombies, we go out as we always have and PM everything we can get our hands on. The difference now is that the PM is nothing more than an operational check and electrical safety check. There really is not anything “preventative” going on. I am not talking about everything; Electro-mechanical devices still benefit from regular lubrications but a large portion of the devices we manage do not have any “preventative” tasks. As I look at the data, I am trying to understand what our direct impact is to the reliability of items we PM. The majority of our repairs fall into two categories, physical damage or unpredictable electronic failure. This means that the component or board would not have been addressed during the PM tasks. Most issues are things that the user knew about, but did not report to us. What does this mean? As I think about how the “traditional” PM may be proving to be ineffective, I wonder what other opportunities exist that can truly help our customers. I think focusing on the failure of equipment and monitoring equipment use in “real life” could provide a lot of insight into how we can improve our service model. 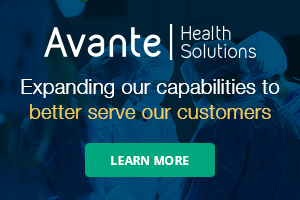 These observations could possibly illustrate training opportunities or even identify a clinical need that isn’t addressed by mindlessly doing performance checks on devices. However, these new tasks are more people related than they are equipment related. They would require consistent and constant communication with customers, which is not achieved by sitting in the shop or hiding in a corner doing PMs. This is a problem for many in our industry. I still have a lot of work to do on the data, whenever one has to rely on handwritten notes in data it takes a lot of time to distill it. However, that being said, I am excited about what my preliminary review revealed. 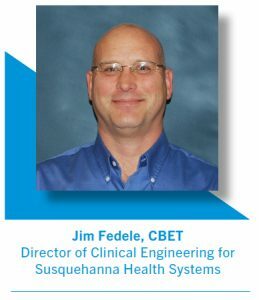 Jim Fedele, CBET, is the director of clinical engineering for Susquehanna Health Systems in Williamsport, Pennsylvania. He can be reached for questions and/or comments via email at info@mdpublishing.com.